To explore the relationship between city scale and public transport performance. 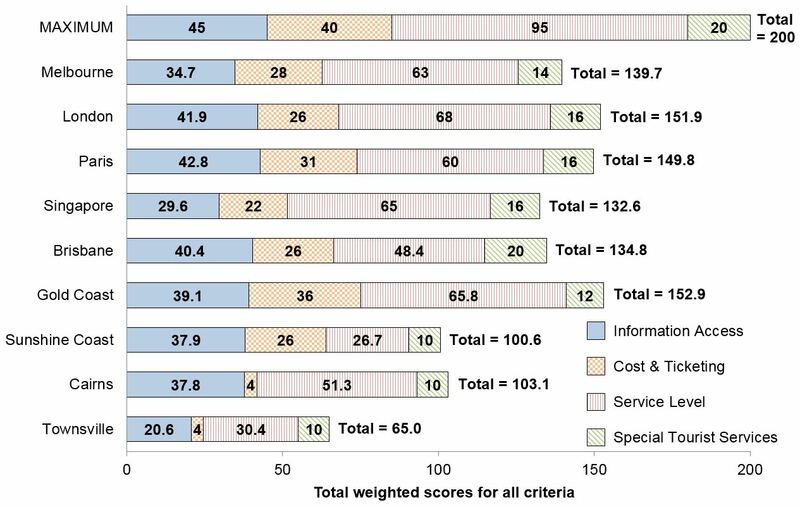 Benchmarking of public transport systems in selected cities within Australia (mostly Queensland) and internationally. 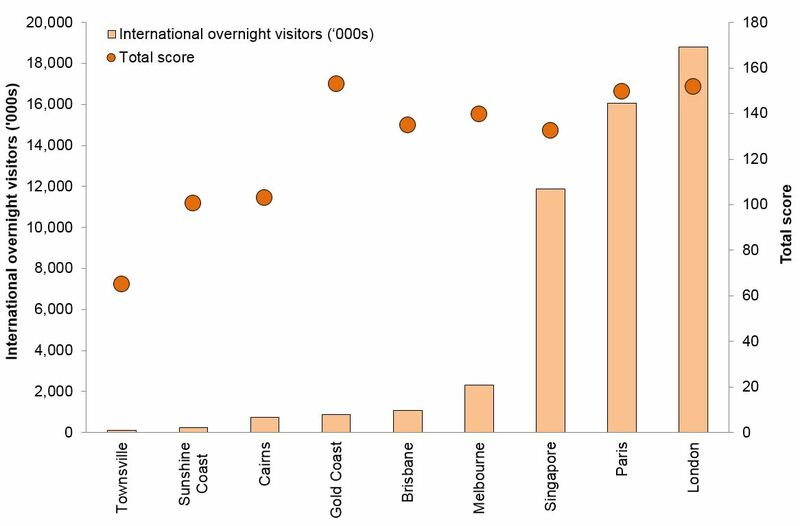 Gold Coast (Queensland) has the highest performance, followed closely by London and Paris. Results help to identify areas of good performance and gaps in how public transport meets the needs of international tourists. De Gruyter, C., Currie, G., Reynolds, J., Peel, V. & Yang, Y. (2016) Benchmarking public transport for international tourists in Queensland cities. Presented at the 38th Australasian Transport Research Forum (ATRF), Melbourne, Australia. Yang, Y., Currie, G., Peel, V. & Liu, Z. (2015) A New Index to Measure the Quality of Urban Public Transport for International Tourists. Presented at the 94th Transportation Research Board (TRB) Annual Meeting, Washington, D.C., United States.